GPs being sent warning letters and the World Health Organization’s World Vaccinations Week have brought the spectre of antimicrobial resistance (AMR) back into the headlines of late. So, what has industry been doing to fight the so-called ‘super bugs’ since it signed the Davos Declaration in 2016, and what can pharmaceutical companies learn from each other? AMR isn’t a new problem, but it is one that is threatening to wipe out decades of scientific advances and innovation. According to the World Health Organization (WHO), 490,000 people around the world developed multi-drug resistant tuberculosis in 2016 and in 2010 it was estimated that 7% of people starting antiretroviral therapy in developing countries, and between 10 – 20 per cent in developed countries, had drug-resistant HIV. More recently, resistance to the artemisinin-based combination therapies, the first-line treatment for P. falciparum malaria, was confirmed in five countries, including Cambodia, Thailand and Vietnam, in July 2016. Meanwhile, in the UK it’s thought that AMR claims the lives of around 5,000 people a year. Pharma has long been aware of its role in working to solve this life and death issue with the signing of the Declaration by the Pharmaceutical, Biotechnology and Diagnostic Industries on Combatting AMR more than two years ago marking something of a line in the sand. The Davos Declaration, as it became known, committed companies to collective action and R&D investment in order to help close the ‘innovation gap’. “The pharmaceutical industry recognises our responsibility and remains committed to playing a significant part in this long-term effort,” said the resulting Industry Roadmap for Progress on Combatting Antimicrobial Resistance. Earlier this year, the first independent comparison of pharma companies’ efforts to meet these commitments was published by the Access to Medicine Foundation. “Pharmaceutical companies play a fundamental role, given their unique expertise in translating scientific advancements into promising candidates and deploying marketed products to millions of patients,” it said. The Antimicrobial Resistance Benchmark measures the 30 most active players in antimicrobial development and production, including multinational pharmaceutical companies, biotechnology firms and manufacturers of generic medicines. The report also found that there are 28 antibiotics for high-priority pathogens currently in the late stages of development, and that nearly half the companies are actively involved in tracking AMR. That’s not to say the battle is won, however. “While pharmaceutical companies are addressing AMR, for most of them, this is only the start. Yes, there are important new medicines in the pipeline, but it is widely accepted that there are not enough to replace the ones that no longer work,” Iyer added. Industry’s role is wider than developing new medicine though, and initiatives to change working practices and adjust business models are highlighted. GSK and Shionogi have fully separated their agents’ bonuses from the volume of antibiotics they sell, for example. Pfizer is piloting the approach in certain territories and Novartis is also moving towards adjusting its sales incentives along these lines. Eight companies have set limits on the levels of antibiotics that can be released into wastewaters at their manufacturing plants, but they have not yet published any results on this work. Does AMR awareness equate to action? One area work is needed is in providing effective education to those on the ground. The Davos Declaration talks of a commitment to “support Government and public health work to educate professionals and patients on the value and importance of appropriately using antibiotics, and the value of vaccination”. Yet, despite high profile campaigns from national and international agencies, including the World Health Organization (WHO), the United Nations and Public Health England (PHE), awareness still seems to be lacking. In April, the PHE’s chief medical officer sent personalised letters to more than 8,000 GPs deemed to be overprescribing antibiotics. The move was part of a trial that has seen the communications sent out annually since 2014/15. Some GPs hit back, however, highlighting there were many good reasons why antibiotics were prescribed at the rates they are. With so many moving parts and competing priorities, it’s a complicated issue that can’t be covered off effectively with a public awareness campaign, argue some. The benchmark report claims that pharma is perfectly placed to offer HCPs a deeper understanding of AMR — and that some are leading the way by providing independently developed education programmes, mainly delivered through conferences and seminars. 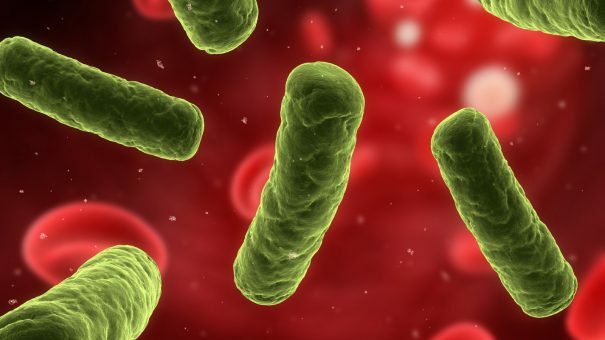 “Pharmaceutical companies have a rich depth of knowledge and expertise about AMR and can play an important role in changing prescribing behaviours among HCPs,” said the report. A global collaborative approach has led to the creation of a number of incentives for industry to rise to the AMR fight. The Combating Antibiotic Resistant Bacteria Biopharmaceutical Accelerator (CARB-X) Fund and the Global Antibiotic Research and Development Partnership (GARDP) product development partnership, for example, aim to mitigate the cost of developing new therapies. Reputational rewards are also on offer for those companies recognised as doing their bit to tackle a global health emergency. Ultimately, the benchmark report concluded, success in the fight against the spectre of AMR will come from a continuation of this collaboration and a focus on sharing best practice.